Animals might be weary of one another in the wild, but they don’t always stick to their own species. Sometimes different types of creatures will befriend each other, and the results are absolutely adorable. 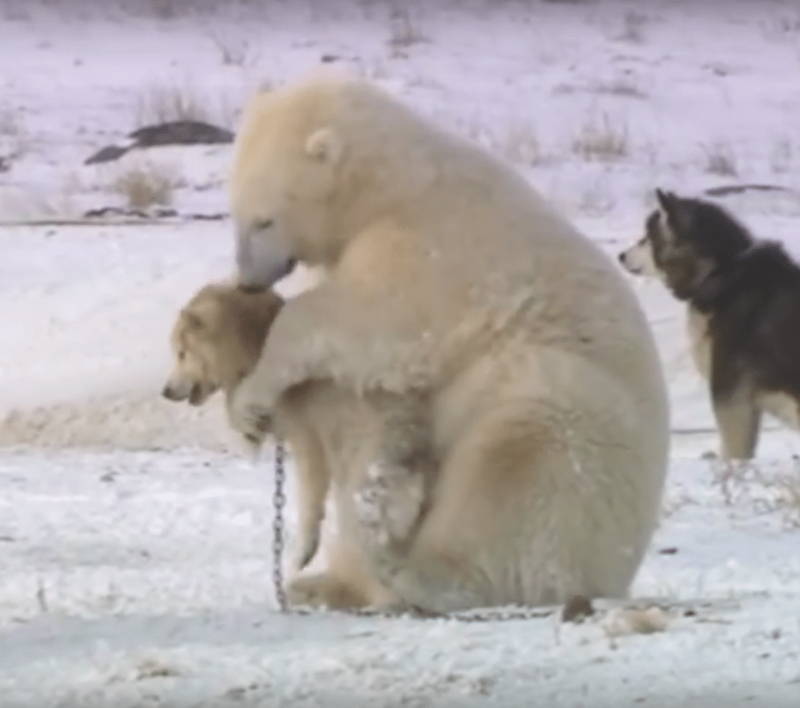 You won’t be able to get enough of this polar bear petting a dog. Brian Ladoon works in Canada with the Canadian Eskimo Dog Foundation. He works closely with a pack of wolf dogs, and the group often finds themselves near wild polar bears. Brian takes special precautions to keep the bears a distance away from him – a wise choice for a vulnerable, fleshy human. But the dogs are a different story. The local polar bears have actually made friends with the pups! They like to play games with them, and the two species even sleep next to each other. The most adorable part? The bears even pet the dogs! This is just too cute. The first time the man saw this strange phenomenon, he was awe-struck. He thought it was a fluke, but the next year the pups rejoined their polar pals. Brian realized that the groups had formed lifelong friendships. The bears and dogs just couldn’t get enough of each other. The dogs also get excited to see their long lost friends. They jump up and down to greet the polar bears, running up to them as soon as they are in the area. As the bears and dogs nuzzle against each other, we are reminded that these species aren’t so different after all. They are both arctic creatures with thick fur and excellent survival skills. They both love rolling around in the snow, and they both like to snuggle together at night. 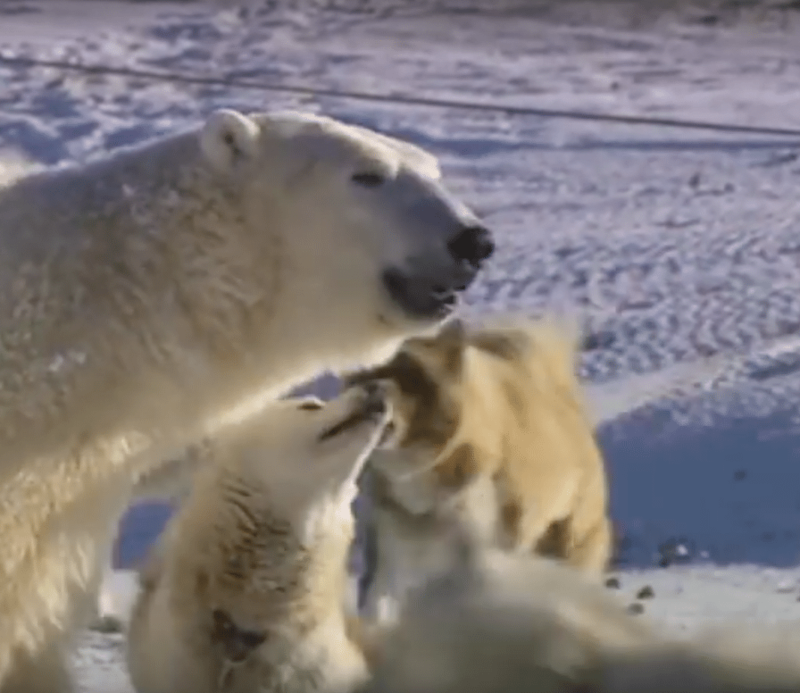 Seeing these polar bears play with the wolf dogs is sure to bring a smile to anyone’s face. When it comes to animals loving one another, we just can’t get enough. Watch this incredible video for yourself below.